Learn how to improve indoor air quality using household items you most likely already own! This post is created in partnership with BROAN. All opinions are my own. 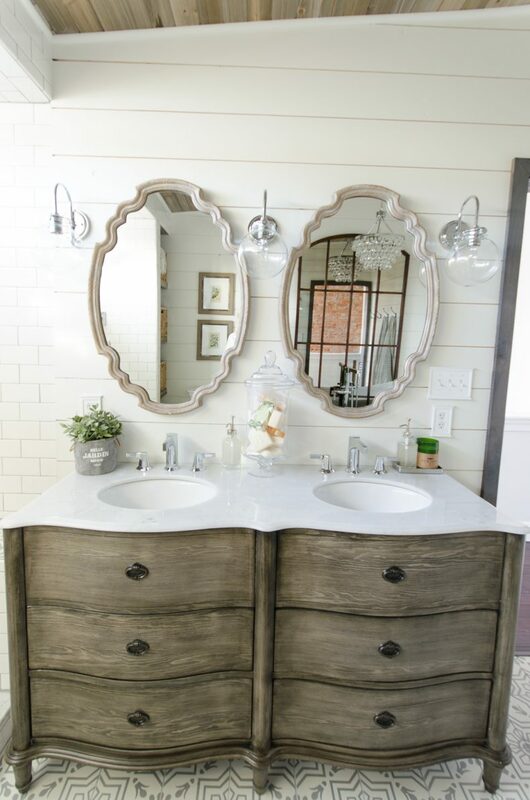 The question I receive most frequently since moving into our new home is, “Do you miss your old bathroom?” If you’re new to my home stories, then you may have missed out on our urban farmhouse bathroom remodel. It’s worth checking out. The answer to this most frequently asked question is a resounding yes! I miss our master bathroom dearly. However, one of the things I miss the most about it might surprise you. It has surprised me! I know it may sound silly, but I desperately miss our BROAN Sensonic Bath Fan! This bathroom fan has bluetooth speakers inside that pair with your devices while keeping the room’s humidity in check. I miss listening to Podcasts and music while getting ready in the morning, and I definitely miss how well it ventilated the space. 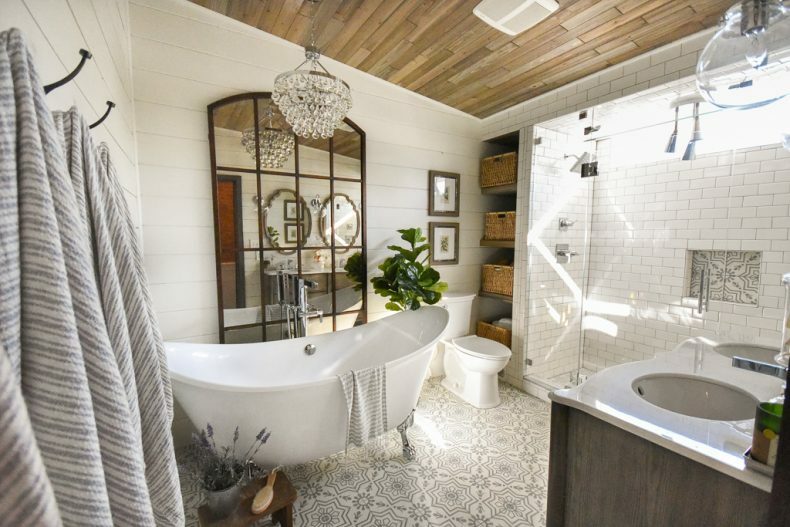 Our current bathroom fan does not ventilate the air well at all, and as a result every shower and bath leaves the bathroom and our adjoining bedroom feeling humid and sticky. 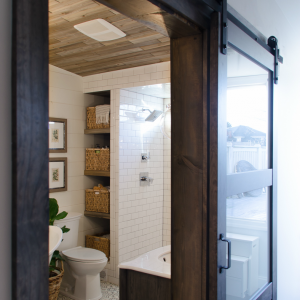 Simply put, good bathroom ventilation makes air quality better! 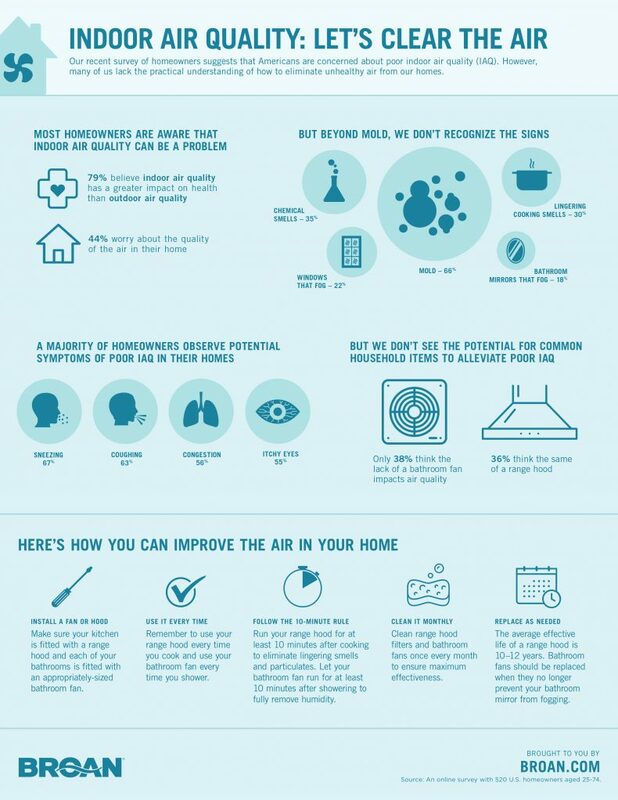 BROAN recently conducted a survey regarding indoor air quality and the results are revealing. Most homeowners believe that indoor air quality has a greater impact on health than outdoor air quality and many worry about the quality of the air in their home. However, many homeowners missed the signs that indoor air quality is being compromised. I suffer from terrible allergies year round. When the house hasn’t been cleaned for several days, I experience congestion, itchy eyes, coughing, and sneezing. Perhaps you can relate? I always notice a decrease in my symptoms when the house is clean, vacuumed, and well ventilated. The good news is that indoor air quality can be dramatically improved with just a few simple tips! Improve Indoor Air Quality Tip 1: Install a fan and hood. Be sure that your kitchen has a range hood and that each of your bathrooms is fitted with an appropriately sized bathroom fan. Improve Indoor Air Quality Tip 2: Use your fans every time. Each time you cook on the stove and take a shower, remember to turn your fans on! Improve Indoor Air Quality Tip 3: Follow the 10 minute rule. Your fans should run for 10 minutes after you complete your tasks! Be sure to run your range hood for 10 minutes after you finish cooking. This will help eliminate lingering smells and particles. 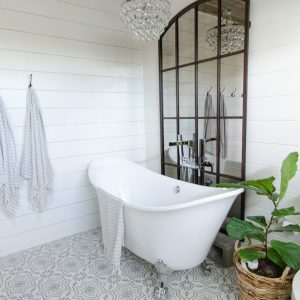 Run your bathroom fans for 10 minutes after you shower to help eliminate humidity and reduce the air’s moisture. Improve Indoor Air Quality Tip 4: Clean your fans monthly. Uh oh. When was the last time you cleaned your range hood filter and bathroom fans? I’m guessing it’s been longer than a month! To get the most out of your fans, they should be cleaned monthly. Improve Indoor Air Quality Tip 5: Replace or upgrade your fans. If your bathroom mirror fogs when the fan is running, then it’s time to consider replacing your fan. Range hoods wear out after 10-12 years and do not work as effectively. BROAN created this helpful infographic for you to pin for later! Feel free to share these helpful, easy, and affordable ways to improve your indoor air quality today. Is it time to replace or upgrade your bathroom fans or range hood? Check out these BROAN fans on Amazon. I suffer from allergies and the air quality in my home is not too good. Thank you for sharing this. Yes! Plants are a wonderful way to clean the air naturally. Never thought about all this before reading your fine article! Thank you for posting this. Will definitely be more diligent in using fans ! Beth, I had no idea! I have a wonderful fan in the kitchen and Broan fans in my bathroom, but I’ve NEVER thought of running them as a necessity. Thank you for cluing me in! You’re welcome! It’s a great tip! Using these easy-to-follow tips, you can improve indoor air quality for the sake of your health and that of your family. Thank you for posting this wonderful article.